This year the Microsoft Worldwide Partner Conference 2014 was again a successful event for the proMX GmbH. Peter Linke (CEO) visited this unique Microsoft event in Washington D.C. and brought some great feelings and the atmosphere back to Germany. The most pleasant moment of the event was the award ceremony. 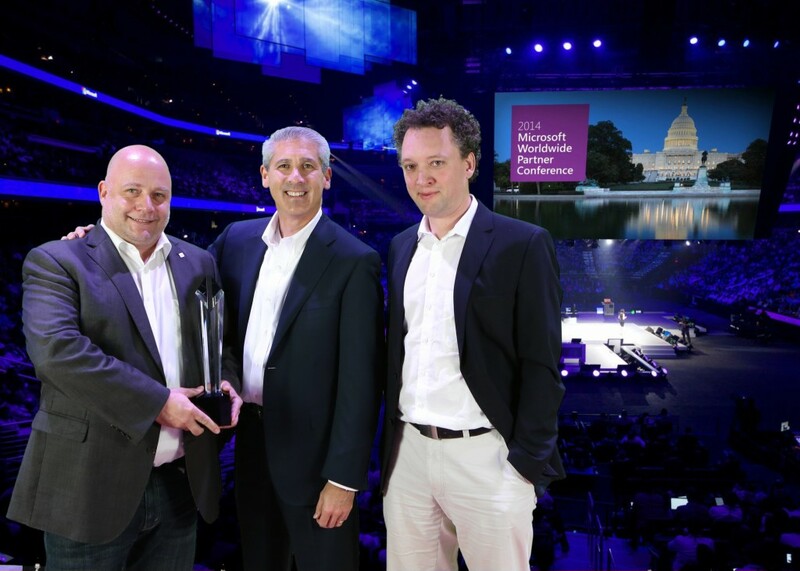 The most honored prize ”Microsoft Partner of the Year – Germany“ was given to Peter Linke and Christian Otto by Microsoft Vice President Phil Sorgen. This glorification moment was a real tribute to all the proMX team members. in the photo: Peter Linke, Phil Sorgen and Christian Otto. New partnerships and business relations were formed, and there was an active exchange of information with Microsoft partners from more than 160 countries. Being in attendance at the conference was a terrific experience for every participant. This year there were more than 3,200 nominations from 112 different countries for 46 different global awards. The nominated were exceptional and their performances stood as examples of the excellence for all Microsoft partners. “We are very proud to belong to the winners. This gives us fresh energy and motivation and shows that we are with our strategies and plans on the right way“, said Peter Linke. 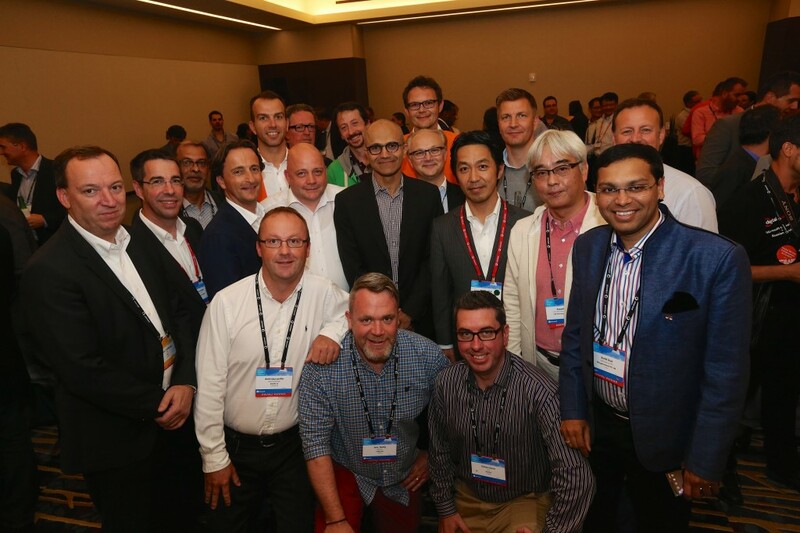 in the photo: Satya Nadella, Peter Linke and other conference participants. Moreover, Peter took part in numerous informative events of WPC and collected a lot of knowledge about the new Microsoft technologies and the IT-mainstream. Every new Microsoft event brings us new possibilities. The special atmosphere of the conference makes people closer to each other, grows trust and gives birth to new partnerships. Thus, the proMX team is pleased to welcome our new partners Consultcrm (UK) and isatech (France). We hope that our cooperation will bring more mutual beneficial possibilities to our companies and more value to our customers. It is always nice to see old friends and meet new ones and the Microsoft Worldwide Partner Conference is the best time and place to realize this. That is why proMX team will surely come back here again and again and hopefully as a Winner! Being a Winner “Microsoft Partner of the Year Award– Germany” is a Great Honor for proMX GmbH. The successful leader among Microsoft Partners confirms its status the sixth consecutive year.